Rob Bland (Baseball Writer – MLB reports): When a team has a disappointing season, the most likely candidate to lose his job is the manager. So far in the 2011 season, there has already been three managers who have either resigned or been fired. 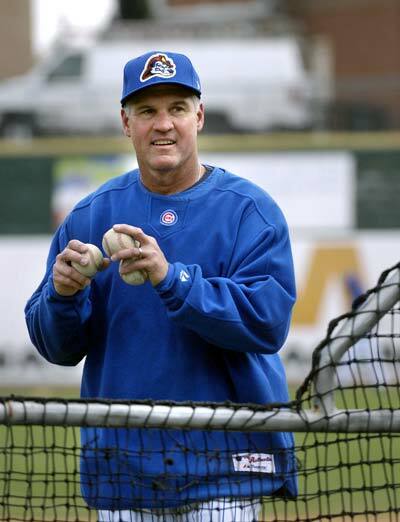 The Oakland Athletics fired Bob Geren on June 9th and replaced him with Bob Melvin. A week and a half later, Edwin Rodriguez resigned from his post as manager of the Florida Marlins. 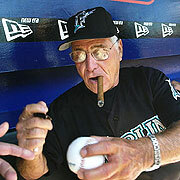 Jack McKeon became the oldest manager since Connie Mack at 80 years old. Yet another week later on June 26th, Jim Riggleman of the Washington Nationals resigned and was replaced by Davey Johnson two days later. With only a few weeks left in the regular season, who are the frontrunners to be replaced after the World Series? With eight managers being new to their respective teams to start the 2011 season, one would think there can’t be too many jobs to lose. The first criteria I look at in order to predict who will not be returning his club is if the team was expected to contend for the playoffs, and fell short. Another thing I look at is the perception of the clubhouse, ie. if players get along, or if the manager is able to manage egos. 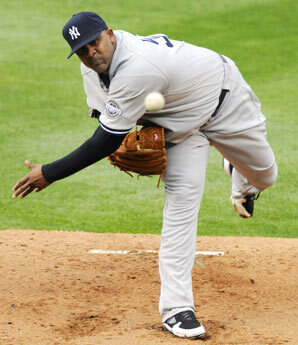 Of course, the manager’s ability to create a lineup and manage a bullpen is taken into consideration. Other factors such as injuries and expectations of players are measured as well. The list that follows are my top 3 managers who could be canned after this season. It is not oft en that I would think a first year manager would be fired like this, but there are so many circumstances that make me believe he will be gone. 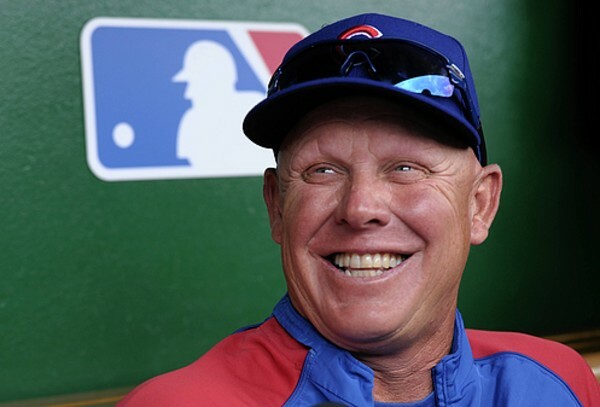 First, there has been grumbling since day one in Chicago that Quade was hired over franchise icon Ryne Sandberg. The Cubs have been packed with talented players such as Carlos Zambrano, Aramis Ramirez, Alfonso Soriano, Geovany Soto, Ryan Dempster and Carlos Marmol. Add in Matt Garza and Starlin Castro, and you would think they could at least come close in the terrible NL Central. They are 22 games behind the streaking Milwaukee Brewers, and 21.5 behind Atlanta for the Wild Card. Their record is 62-81 with a 35-40 record at Wrigley Field. With 2011 being Black’s 5th season with the Padres, a 62-82 record and already 21 games behind Arizona for the NL West title, he could be on the way out. The Padres have yet to reach the postseason under Black, however they were involved in a 1-game playoff with Colorado for the Wild Card title in 2007 that many of us will never forget as one of the most exciting games we have ever witnessed. 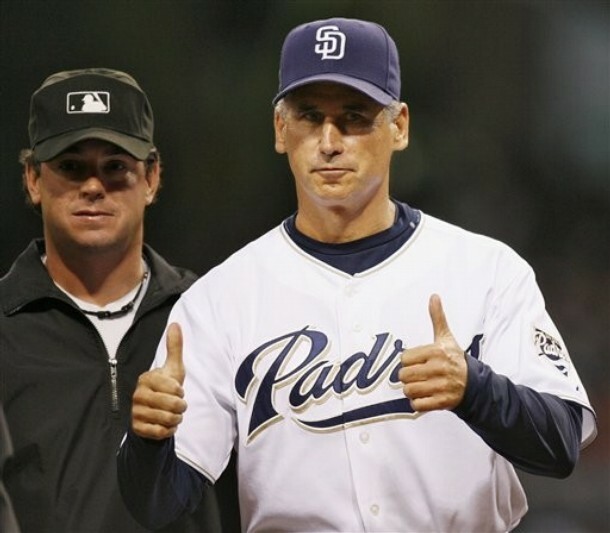 In 2010, the Padres held a 6.5 game lead over eventual World Series Champs San Francisco Giants on August 25th. After a 10 game losing streak, the Padres were still in contention, and were not officially eliminated from the playoffs until the final day of the regular season with a 90-72 record. Those were the only winnings seasons in Black’s tenure and his time in San Diego may be up. Is it really fair to say Gardenhire’s job is in jeopardy? Probably not, but it definitely is possible. Over his 10 year career with the Twins, he has amassed an 861-740 record and they have been in the playoffs 6 times. 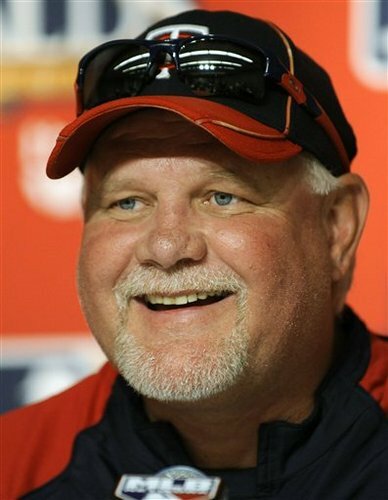 However, they have only won 6 games, 4 of which were in one series, in Gardenhire’s first season; 2002. The Twins have not won a playoff game since 2004, being swept in 2006, 2009 and 2010 in the American League Division Series. 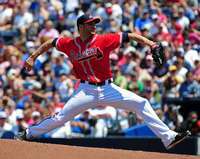 This year, Gardenhire has had to deal with crippling injuries of former AL MVP’s Justin Morneau and Joe Mauer. Statistically, the best hitter has been Michael Cuddyer, hitting .282 with 18 home runs and 64 RBI. The best pitcher has been Scott Baker who is 8-6 with a 3.21 ERA and 1.19 WHIP in 131 2/3 innings. Francisco Liriano has not been the same as he was before undergoing Tommy John surgery after the 2006 season, and aside from his no-hitter against the White Sox on May 3, he has been downright awful and is now on the 15-day disabled list. When the best players don’t perform, or are hurt, the manager is forced to do the best he can with what he is given. However a 59-84 record may just be the straw that broke the proverbial camel’s back for Gardenhire. This year, with 3 mid-season changes already, and eight new managers at the beginning of the season, shouldn’t see too much activity. I do believe that with the Cubs’ search for a new general manager under way, Quade’s days are numbered in Chicago. I also believe that Black’s inability to get the always promising Padres to the next level will leave him without a job by November. Gardenhire has not proven to me that he can bring the Twins to the World Series, and that is what the job description entails. Has it ever happened where both Managers of the Year from their respective leagues gets fired the following year? It could happen if Black and Gardenhire are let go. MLB reports: How often does a 29 year-old outfielder with 155 career at-bats in the majors going into a season garner the hype that Sam Fuld has received this year? How about one with 24 career home runs in 6 minor league seasons? Probably not many. 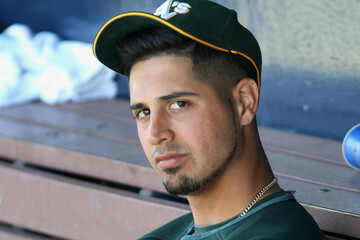 With all the attention surrounding Sam Fuld, MLB reports decides to look deeper into the player behind the hype. 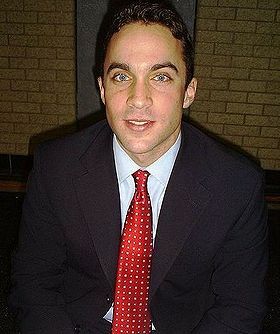 Samuel Babson (Sam) Fuld was born on November 20, 1981. Growing up in Durham, New Hampshire, Fuld was a Red Sox fan. Ironic considering that Fuld joined the Rays in 2011 and got his start in Tampa Bay playing alongside childhood idols, Johnny Damon and Manny Ramirez. Fuld is 5’10” and weighs 185 pounds, hardly an imposing baseball specimen. Over the course of his 6 minor league seasons, Fuld was a gritty on-base machine in the Cubs system. Fuld was actually drafted twice by the Cubs, in 24th round of the 2003 draft and 10th round in 2004. Fuld’s time in the minors showcased the type of player we could expect to see one day if given the opportunity. In his 6 seasons in the minors, Fuld hit a combined .285. Very impressive on its own. Consider though that he has a career 302/254 BB/K ratio in the minors and you now have the prototypical “moneyball” player. Fuld has a career .372 OBP in the minors, combined with 106 stolen bases. This is a player that hit 10 triples in 84 games for AAA Iowa in 2009 and 9 more in 2010. Fuld can clearly hit, get on base and run. With 404 runs scored in the minors, Fuld finds a way to generate offense. So why have we not heard of Fuld before this year? Why did the story start so late? The usual story I believe of scouting and stereotypes over numbers and production. As Sam Fuld is showing this year, talented players will eventually produce even when “experts” discount them over the course of their entire careers. All they need is a chance. The biggest hindrances for Fuld I believe are two-fold. Firstly, his lack of height and stature probably frightened coaches and scouts alike. Big players are seen as having more “tools” and “talent”, which players like Pedroia are starting to change. Secondly, with few home runs in the minors, 218 RBIs and .405 career minor SLG, the Cubs were not prepared to give Fuld a full chance knowing that he would be unlikely to hit for much power in the bigs. Fuld got three cups of coffees with the Cubs, in 2007, 2009 and 2010. He received 6, 97 and 28 at-bats per year respectively. Despite a .252 average, Fuld had a .368 OBP during his time with the Cubs. Fuld also had 23 walks compared to 18 strikeouts. Fuld clearly was able to play his game in Chicago. But one home run and .344 SLG has a way of disappointing a team in a hurry. It is somewhat of a chicken and egg debate, as Fuld’s sample size in Chicago is a small one and with more playing time, perhaps he could have showcased greater numbers. Not known for developing young hitters, the fit in Chicago was not there and Fuld was never going to get an opportunity in Chicago. A change of scenery was in order. 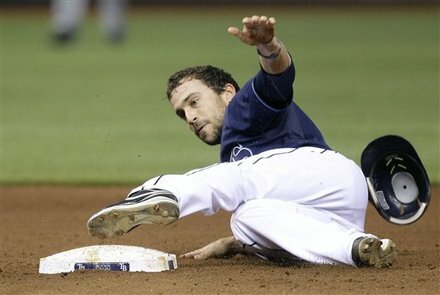 On January 7, 2011, Fuld was essentially a throw-in as part of the blockbuster swap between the Cubs and Tampa Bay Rays. The Cubs sent uber-prospect pitcher Chris Archer, outfielder Brandon Guyer, catcher Robinson Chirinos, shortstop Hak-Ju Lee and Fuld to the Rays for top starting pitcher Matt Garza, outfielder Fernando Perez and pitcher Zachary Rosscup. Out of options and on a new team, Fuld had a new lease on life. Just one problem remained: The Rays were loaded with hitters in key positions blocking Fuld. With Upton, Zobrist, Joyce and newly acquired Manny Ramirez in the outfield, rotating as the DH with Johnny Damon, and Dan Johnson/Casey Kotchman battling for the first base job, Fuld would need an injury or opportunity to crack the Rays line-up. The stars were going to need to truly align for Fuld and heading into spring training, there was no talk that I can recollect of Fuld becoming the Rays saviour. Sitting in the third week of April, the situation in Tampa Bay could not have unfolded better for Fuld’s career. With the opportunity and off-the-charts production, the Legend of Sam Fuld was born. First Manny Ramirez retired one week into the season. A player that I expected to be a distraction for the team all season barely completed his time out of spring training before calling it a career. With another apparent failed substance test, Ramirez chose to go home rather than face the music before MLB officials. With Ramirez out of the way, it was time to focus on sorting out the Rays lineup. Going into today’s action, Joyce and Damon have been fairly steady the Rays in 2011. Dan Johnson, Jaso and Zobrist have been very slow out of the gate with averages under .200 each respectively. Upton has also been unable to get his bat going again this year and Longoria played only two games before missing most of the season from an oblique injury and due back sometime in May. Starting the season with a 1-8 record, the Rays needed an ignitor to get the season going. With little offense and the season slipping away, the Rays needed to do something fast. 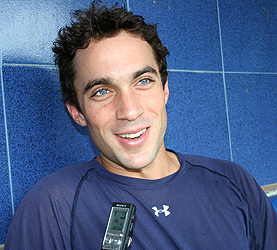 The solution: Sam Fuld. In 18 games thus far, Fuld has only one home run for the Rays. Funny, but nobody has noticed. Ironically, Fuld hit said home run on April 11th, when he almost hit for the cycle. Almost…as with a home run, triple and double, Fuld hit a second double rather than a single to complete the cycle. That is simply the type of player that Fuld is: heart and hustle (hey, isn’t that the motto for the 2011 Blue Jays?) Fuld is hitting .366 on the season, with a whopping .395 OBP and .549 SLG. Fuld leads the American League with nine stolen bases and while he has only walked four times…he is simply too busy getting base hits. Two triples, six doubles, eleven runs and eight RBIs, Fuld helped the Rays 8-1 surge back to third place in the AL East with a 9-11 record. Last night, in a dramatic 11th inning loss to Toronto, Fuld went 3-5 (including a triple) with three runs scored, one RBI and two stolen bases to boot. It appears that the Rays have found their leadoff hitter for the foreseeable future, as the Legend of Sam Fuld continues to unfold. We haven’t even touched upon Sam Fuld, the outfielder. The best way to describe Fuld is if Aaron Rowand and Reed Johnson combined into one super defensive player. If not for the gold-glove calibre play of B.J. Upton, Fuld would be manning center for the Rays. 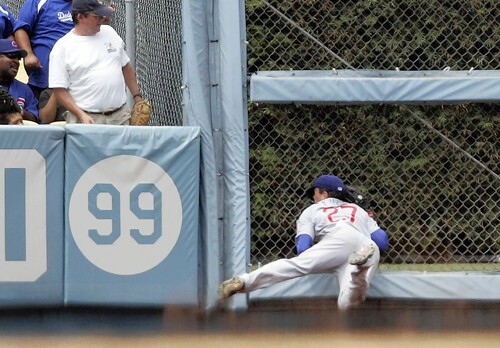 With leaping catches off walls and showing great arm strength, the legend of Fuld’s glove is being well documented. Some people around baseball are already saying that Fuld could play for the Rays just based on his defensive abilities. But with his showing of hitting abilities, patience and speed, Fuld is showing the types of tools that superstars are built on. It is only a shame that he had to wait so long to get his chance to shine. But as the old expression goes: better late than never. So what does the future hold for Sam Fuld? Looking into my crystal ball, I am seeing a great deal of haze. I remember Kevin Maas and Chris Shelton fans asking me the same type of question back in the day. The response is always the same: once the league has the book on Fuld and he has to face the same teams for the second, third and fourth times around, let’s see we he can do. Can he hit only breaking balls? Will Fuld be able to adjust when teams start to exploit his hitting weaknesses? Only time will tell. Sam Fuld is a great feel-good story. The Legend could continue for the foreseeable future, perhaps for this entire year and beyond. For a fan of the game that has seen too many bright stars burn out, I remain on the fence. While I want to see Fuld succeed, there is something about 2 for 30 stretches at the plate that have a way of lowering a player’s confidence and image. I will give Fuld the benefit of the doubt, but would like to see what he can do over this entire season before casting my vote. In the meantime, just like everyone else, I will continue to watch in awe of the player that has simply become known as: The Legend of Sam Fuld.